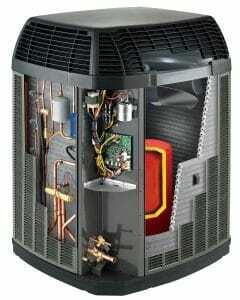 13 SEER or 16 SEER—choosing the right heating and cooling equipment for your new or existing home is important. Trust Ellingson’s to provide you with the features and benefits of the right Trane residential HVAC system, including furnaces, air conditioners, and heat pumps. Your home will be comfortable and energy efficient while staying within your budget. 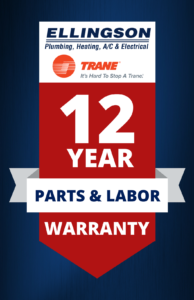 We’re also proud to offer our Ellingson exclusive 12-year parts and labor warranty on any new residential Trane HVAC system. Change the temperature in your house before you get home. Receive alerts while you’re away that the temperature in your house is too low. Unlock the front door for the service technician. This can all be done through your new connected thermostat. Download the app. on your Apple or Android device and you’re on your way to monitoring your heating and cooling system remotely. Best of all, the app. is free. If you’re simply looking at updating an older system or just want our professional opinion on what options are available to you, just fill the residential request for proposal and one of our comfort specialists will gladly give you a free in-home estimate. Apply at online and get pre-approved for one of the many financing options available to you and your investment for residential HVAC.